Need BLS, ACLS or PALS class in Kansas City? Why Kansas City Chooses Us! Get Card Day of Class! Hands On Classes and Online Option. 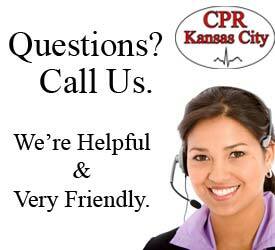 CPR Kansas City is an American Heart Association training site. All instructors are AHA certified and all classes are 100% AHA certified. Register in Our Online Calendar. “Best BLS class I’ve taken.” Mary Hamid, M.D. “Easy to register, great location and superb customer service.” Tammy Grisby, R.N. Get Your Card! Same Day. Choose the Class You Need. Class Calendar & Registration. This Course is for BLS Renewals and 1st Time Certifications. *Satisfies CPR Requirements for All School Programs and Employers. Need to Renew Your ACLS? Hands-On, Stress-Free and Relaxed Testing and Megacode. Need to Renew Your PALS? Hands-On, Stress-Free and Relaxed Testing and Megacode. One-Day, Stress-Free ACLS Certification Class. American Heart Association ACLS Class in Kansas City. See Details Here. Get Certified in a One Day, Stress-Free PALS Class in a Local Kansas City Classroom. All Inclusive, Hands-On Class. See details. American Heart Association CPR Class for Childcare, Trainers, Teachers, Coaches, etc. This class, also known as BLS for Healthcare Providers, is the required CPR/AED course for all healthcare professionals including nurses, doctors, therapists, dentists, pharmacists and all other healthcare and medically related professions. 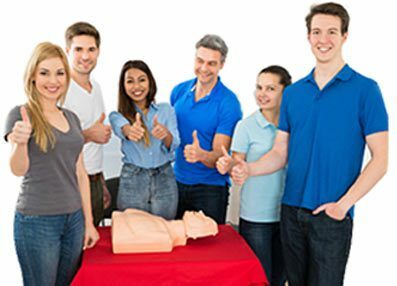 This course is also the REQUIRED CPR CLASS that satisfies ALL CPR requirements for students in healthcare and medically related school programs, such as nursing school, medical school, dental school, etc. This course is the same for first time certifications, as well as renewals. The American Heart Association’s Advanced Cardiac Life Support (ACLS) course is designed for specialized health care providers such as surgeons, emergency medical physicians and nurses, paramedics, respiratory therapists, and other medical professionals in life threatening and critical environments. This course is offered as a one day certification for first time students, as well as a renewal course for those that already have a certification but are soon to expire. This Pediatric Advanced Life Support (PALS) is a specialized American Heart Association course designed to prepare for pediatric crisis. This course is often required by doctors, nurses, paramedics, and all other medical professionals who must have advanced skills in the assessment in critical scenarios including respiratory and cardiovascular emergencies in children and infants. This course is offered as a one day certification for first time students, as well as a refresher course for those about to expire. We Come to You! Our instructors will bring everything to your office/group. -Hands-On, Stress-Free, and on YOUR SCHEDULE! -No Hassles. Everything Your Office Needs! -100% American Heart Association. 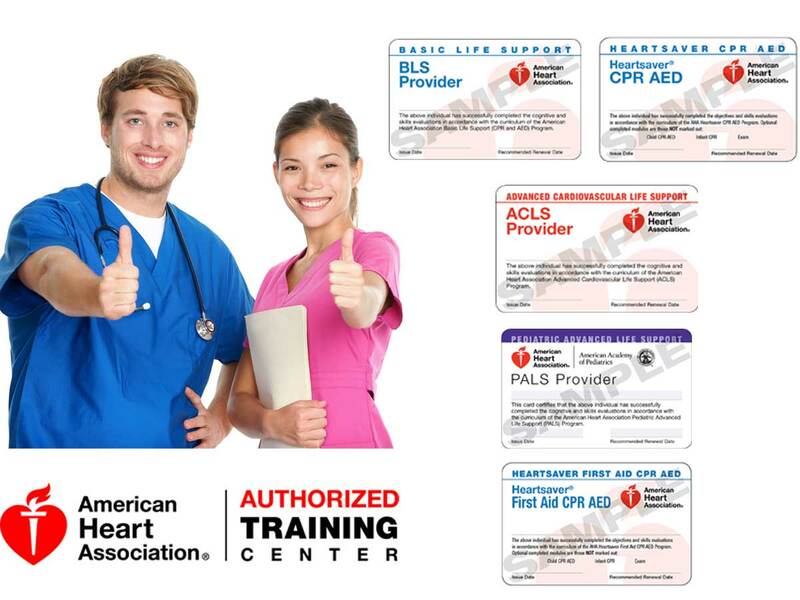 -BLS, ACLS and PALS Certifications. -We’ll come morning, noon, or night. -Relaxed, Organized, and STRESS-FREE classes! If you are not a healthcare professional and need an American Heart Association CPR in Overland Park Kansas or the Kansas City area because you are a lifeguard, teacher, personal trainer, coach, parent or grandparent, involved in childcare, need an OSHA approved CPR class or just want to learn basic CPR skills then this is the class for you. This course covers CPR, AED and choking on infants, children and adults. This course is known as HeartSaver CPR and is designed for the general public. If you need a basic First Aid certification course this is the course design by the AHA for you. 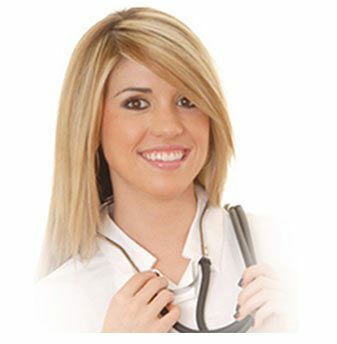 In this course you will learn How To: control bleeding, treat broken bones, burns, sprains, allergic reactions, stings and bites, etc. At the end of the course you will be awarded a 2 year AHA card. This course is usually offered in conjunction with HeartSaver CPR which will result in certifications for both CPR and First Aid. 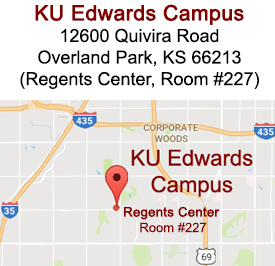 *CPR Kansas City offers BLS, ACLS, PALS and HeartSaver CPR and First Aid Courses. **All courses are American Heart Association certified. Yes! CPR Kansas City only offers American Heart Association certified classes. Every successful student will receive an official 2 year AHA card. Yes. The American Heart Association requires that every student has access to a book prior to, during and after class. You may purchase a book from us at checkout or bring your own. If you do not have one at the time of class, you can purchase on from us before class begins. Same Day as Class! The certification is good for 2 years. It’s very simple. You can register in the course calendar by clicking on the class you need. If you have more questions, please call us and one of our customer service members can help you register over the phone. We accept all major credit cards including Visa, MasterCard, American Express and Discover. Classes must be paid for in advance due to limited seating. We offer Basic Life Support (BLS for Healthcare Providers), Advanced Cardiac Life Support (ACLS), Pediatric Advanced Life Support (PALS), HeartSaver CPR for the Public, and HeartSaver First Aid. Which Class Do I Need for My School Program? You need the Basic Life Support (BLS for Healthcare Providers) course if you are in nursing school, or another healthcare or medically related program such as dental hygiene, dental, medical, therapy, pharmacy, paramedic/EMT, radiology, etc.